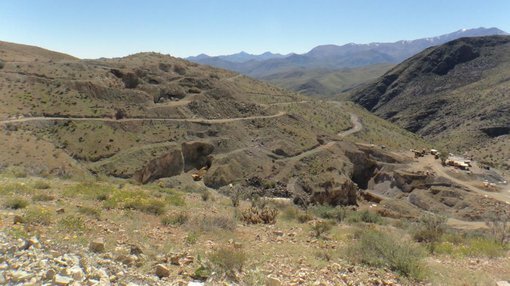 ASX junior Hot Chili (ASX:HCH) has clinched a formal option agreement with a private Chilean group to acquire 100% of a mining right which contains a portion of the Cortadera copper-gold discovery. Cortadera is situated 14 kilometres directly southeast of HCH’s large-scale Productora copper project, which is located at low altitude along Chile’s coastal range. Together with memorandum of understanding (MOU) executed with SCM Carola (as also announced separately today), this clears a path for consolidation of the entire Cortadera copper-gold discovery In Chile. The mining right, called Purisima, contains approximately 500 metres strike extent of the entire two kilometres long Cortadera discovery zone. Approximately 4,000 metres of diamond drilling has been completed across Purisima containing several significant drilling intersections. Extensional and in-fill drilling expected to kick off within the coming months. Hot Chili’s first announcement today outlined key terms for an option to acquire an 100% interest in approximately 1.5 kilometres of the two kilometres long Cortadera discovery zone. 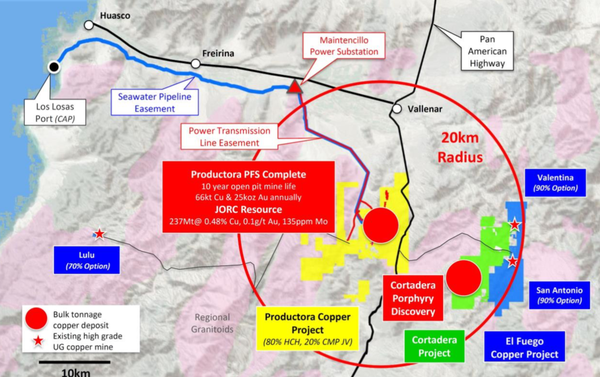 The Cortadera copper-gold discovery lies 14 kilometres directly southeast of Productora and comprises a cluster of three copper-gold porphyry centres extending from surface to depths of 900 metres, as currently drill tested. Some 4,000 metres of the entire 23,231m of diamond drilling (HQ core) completed at Cortadera are contained within the Purisima mining right, accounting for one of the three porphyry centres discovered to date. 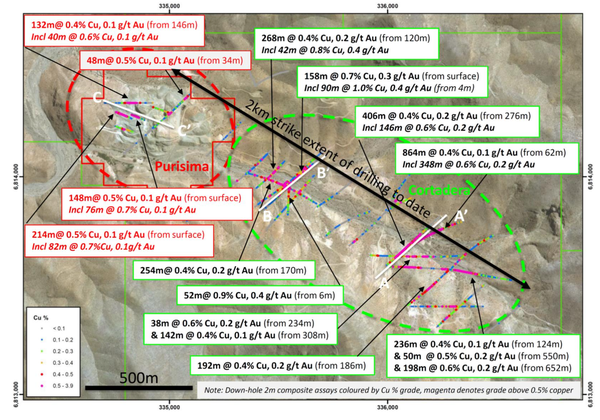 Below is a plan view across the Cortadera discovery area displaying significant copper-gold drilling intersections across two confirmed tonalitic porphyry intrusive centres. Consolidation of the entire footprint of the discovery zone will allow Cortadera’s growth potential to be maximised along strike. Within the coming months, HCH plans to begin systematic exploration and resource definition drilling across Cortadera.